Speculation is flying. Was last week's mysterious explosion at an Iranian military depot near Tehran truly an accident? The blast killed 17 members of the Iranian Revolutionary Guard, including a Brigadier General. The government said the accident occurred when soldiers were moving various munitions inside the depot. However, Western observers think they may have been attempting to mount a nuclear or chemical warhead onto a Shahab-3 missile. The Iranians immediately and specifically denied that charge. In politics, the speed and vehemence of the denial often indicates the presence of truth. This blast eerily resembles an explosion that occurred at a Syrian facility in 2007. That accident happened when the Syrians were mounting a chemical warhead onto a SCUD missile. Many were killed, including several Iranian advisers. The area around the facility was hastily evacuated. So, too, the area around the facility in Iran. There is also speculation that outsiders may have had something to do with the explosion. Some are even pointing the finger at Israel. Up to now, though, Iran has not accused another nation of attacking its facility outside Tehran. Of course, to do so would admit to a high degree of vulnerability - something Iran's leaders cannot afford to do. 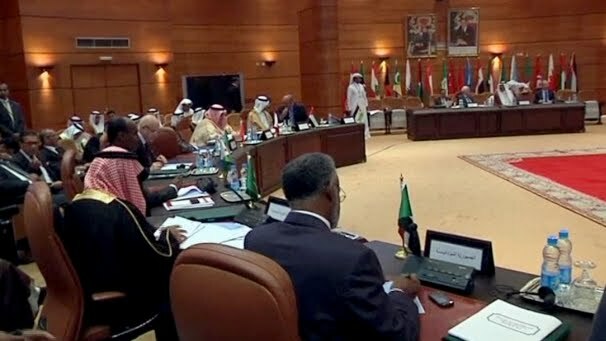 The Arab League has given Syria the boot - at least until it either stops its crackdown on dissenters or gives Bashar al-Assad the boot. Since it appears unlikely to do either, the Arab League is pursuing the same strategy it utilized to topple Muammar Gaddafi in Libya. It has given Assad a deadline for Syria to cease its brutal retaliation against the opposition demonstrators. More than 3,500 protesters have been killed by Syrian forces. If it fails to stop the crackdown, then the League will move to organize the various factions of opposition into a coherent entity like the Libyan National Transitional Council. Once that happens, the Arab League will then recognize the opposition as the legitimate voice of the Syrian people. Finally, it will help to organize an armed intervention such as the American and NATO operation in Libya. The United States will be hard-pressed to refuse to participate in such an operation because of the "doctrine" President Obama cited last March to justify America's intervention in Libya. The "doctrine" is called "Responsibility to Protect" and is being promoted by the United Nations. Essentially, "Responsibility to Protect" postulates that a nation's sovereignty is not a right, but a privilege that can be revoked if the country is accused of war crimes, genocide, crimes against humanity, or ethnic cleansing. President Obama readily bought into that concept. In a sense, that makes America the world's policeman. You know, I'm almost certain I remember Candidate Obama saying that that is exactly what America is NOT, just three years ago. By the way, somebody else got the boot last week, too. The admissions committee for the UN Security Council told the Council that it could not make a unanimous recommendation for full membership for Palestine in the United Nations. That effectively kills the Palestinian Authority's end run around the Arab-Israeli peace process. And it also lets the United States off the hook, since it will not be forced to veto the application in the Security Council. But that doesn't necessarily mean the PA is going to roll over and play dead. In fact, recently "Palestine" was granted full membership in UNESCO - the United Nations Educational, Scientific, and Cultural Organization. It's odd that an organization that's supposed to be promoting science and education thought nothing of granting full membership to a 'nation' that doesn't exist. Sort of like man-made climate change, I suppose. Well, this is the UN, so maybe it does make sense! Anyway, it was this same UNESCO vote that President Obama was chiding French President Sarkozy about after their joint press conference at the G20 summit in Cannes, France, last week. Obama wanted to know why Sarkozy didn't tell him that France was going to vote in favor of admitting the Palestinians. For the record, only 14 nations opposed UNESCO membership for the PA. I don't know how Sarkozy replied, but I do know what he said next. In fact, the world knows, since both Obama's and Sarkozy's mics were still open after the press conference. The conversation turned to Israel and Sarkozy said: "I can't stand Netanyahu anymore. He's such a liar." To which President Obama replied, "You've had enough of him, but I have to deal with him every day!" The comments about Netanyahu have sparked more amusement than outrage worldwide. But in Israel, Obama's approval rating has dropped to 4%, the lowest of any US President in Israel's 63-year history. It's ironic that these leaders disdain Israel and think Benjamin Netanyahu is a liar, yet they largely accept anything that Mahmoud Abbas and the Palestinians say at face value. In reality, they should view with skepticism anything the PA says and accept at face value (as it were) what our strongest Middle East ally says. But this all fits with the narrative regarding Israel that the West has contrived, which is that Israel is responsible for the Arab-Israeli conflict and that the only side interested in peace is the Palestinian side. Even former President Bill Clinton weighed in recently with his arrogant delineation of the 'worthiness' of the Jews. He inferred that the only good Israelis are the "pro-peace Israeli-Arabs." They are followed, in order, by the Israeli-born Jews, the Ashkenazi, or European-born Jews, and, finally, the the religious Jews. He said, "The most anti-peace are the ultra-religious who believe they're supposed to keep Judea and Samaria, and the settler groups, and what you might call the territorialists, the people who just showed up lately and they're not encumbered by the historical record." Apparently young Bill Clinton's Rhodes Scholarship didn't depend on his ability to read history. What "historical record" is he referring to that the "ultra-religious" Jews are not "encumbered by?" The one that says Kind David founded Jerusalem 3,000 years ago? The one involving Biblical Judea and Samaria? The one that includes the Balfour Declaration, the San Remo Conference, and the 1947 refusal of statehood by the Arabs when the United Nations offered them their own state? Or is he just remembering the historical record invented by Yasser Arafat and his terrorist cronies? Of course, all of this is not lost on Prime Minister Netanyahu and his cabinet. That's why they think that if anything is done to stop Iran's mad dash to nuclear weapons, it will have to be Israel who does it alone. That's why Netanyahu recently told US Defense Secretary Leon Panetta that he won't guarantee that he'll inform Washington in advance if Israel decides to strike Iran. And that's got the Obama Administration pretty nervous. After my plea last week for Americans, particularly Christians, to stand up and be counted in the fight for America's liberty, some of you wrote to ask me what you can do. This week, I'm going to lay out a simple "plan of action" that all of us can follow in the coming days, weeks, and months. You may think you're too old, too young, too uninformed, too tongue-tied, too poor, too rich, too pious, not pious enough, or too-whatever to make a difference. Well, you're too wrong! You CAN make a difference. And you might be surprised how easy it really is. I pray that you have a joyous Thanksgiving. We are truly a blessed nation, aren't we? Be sure to take some time to recount those blessings with your family - especially the young ones. It's that spirit of remembering and appreciating the past that gives us inspiration and encouragement for the future. Next week, I'll share some inspirational thoughts and prophetic perspective for the Thanksgiving season. I thank God for you, for His blessings, and for our wonderful United States of America.